There is no greater feeling then when spring is moving in to summer. For humans we start to throw open our front doors the house gets cleaned from top to bottom you can keep up with the washing and life seems happy. 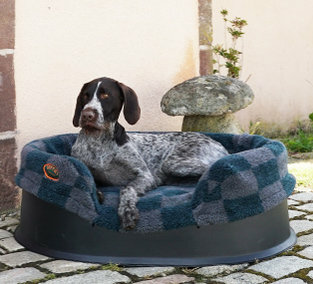 Dogs wake up eager on their dog beds in the morning looking at you with longing in their eyes watching to see if you are going to put your hiking boots on and get their leads looked out. It is great to get out first thing in the morning, the sun is shining and the light is great and quite often there is not another should to be seen. Bliss. Upon returning home the first thing my dog wants is a drink and then to go outside and relax. In summers days the dogs have a choice of dog beds to lay on the decking. They have a Durasoft Nest Dog Bed in the kennel but quite often in the summer this wouldn’t be their first option. 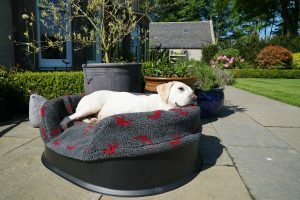 A great option for warm days lounging on the patio is a Wipe Clean Mattress Dog Bed these are smooth, easy to wipe clean fully waterproof dog beds. 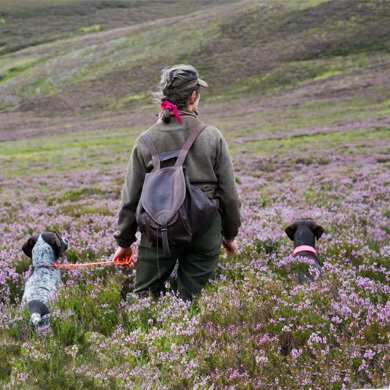 Hairs never stick to this fabric, it feels like a waxed jacket, yet it has plenty of grip for your dog. With time and use it becomes softer like a subtle leather without losing its waterproof excellence. 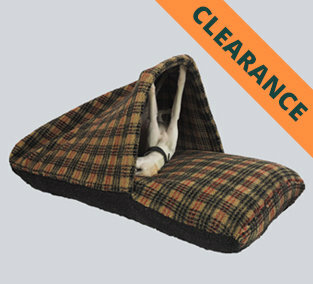 You can add an optional soft cover to your Dog Bed also. 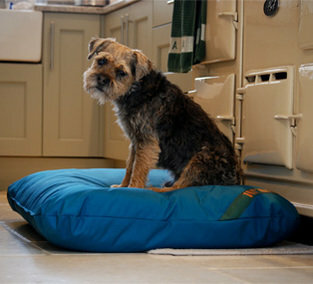 We have some fantastic Summer Mattress Dog Bed Covers for light summer use. We supply these light covers in brushed polyester. 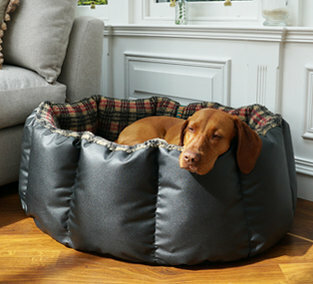 They provide a cooler covering of the Tuffie Dog Bed for the warmer part of the year. 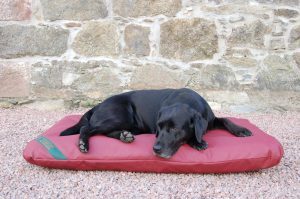 The other cover we would recommend for summer days is the Twill Mattress Dog Bed Cover. 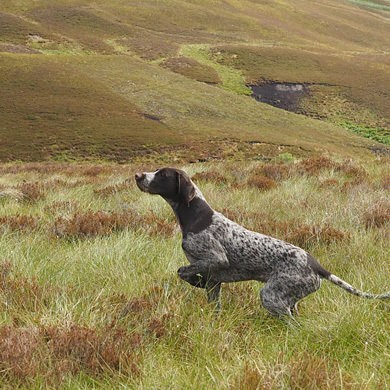 Our Twill cover provides you with a nice, light summer cover without a fur-pile. This means that it is light and not too warm, and it is also very easy to wash and dry. 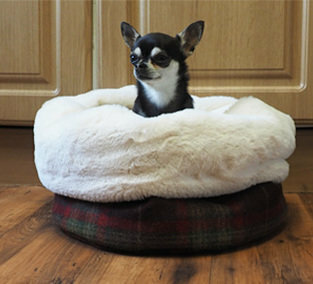 It is made from 100% Cotton, so your dog will not be too warm on this. 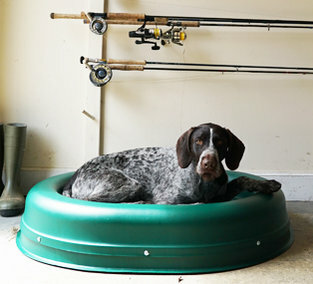 Another product that works great outdoors in the summer is our Raised Tuffies Dog Bed. 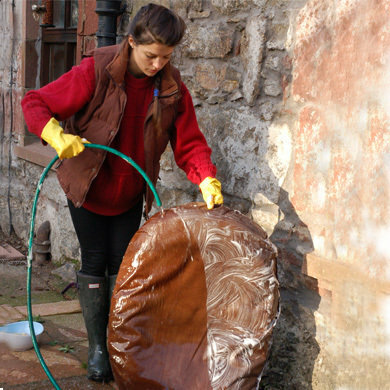 The ultimate in easy cleaning combined with uncompromising dog comfort. The plastic bed is raised 15cm off the ground. 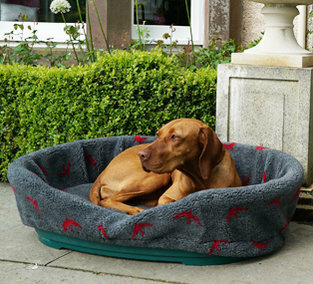 It has a Luxury Fleece Liner fitted as standard with an extra pad inside to add to the appeal. The Liners are hooked on at the front easily and fit snug on to the bed. 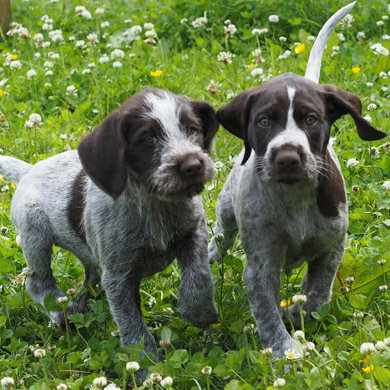 So that’s the dogs sorted in the garden now to relax on the sun lounger with a cold glass of Pimm’s. When it starts cooling down and tummy’s start to rumble, or when you hear the EastEnders theme tune and it’s time to retire for the evening remember to take your dog beds indoors, especially if you live on the British Isles as chances are there could be a thunder storm through the night and although the dog beds are Waterproof they could be damaged by water seeping into the stitching and should never be submerged. 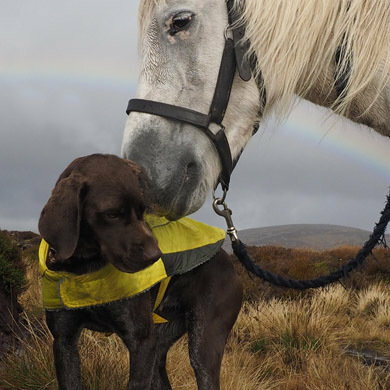 When your beloved dog enters his twilight years he may start needing a little extra care and comfort. 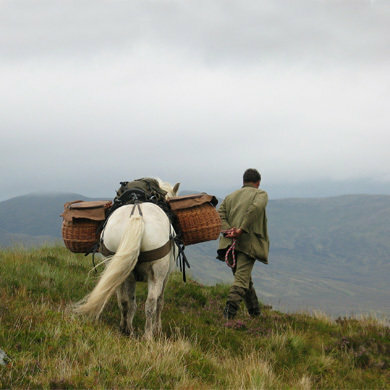 He may have joint problems and you may start to notice it takes him just a little bit longer each morning to get up of..